The Australian Libertarian Society’s Annual Friedman Conference is the largest free market conference in the Asia-Pacific region, and the high point of the Australian liberty calendar. The 2017 Conference will be held in at the stylish Aerial function centre in Sydney on April 28-30. Over 300 activists, thought leaders, business representatives, and political influencers will hear from some of the best speakers from not just Australia, but around the world. The highlight of the conference will be the presentation of the Annual Liberty Awards at the Gala Dinner with keynote speaker Grover Norquist on Saturday night. 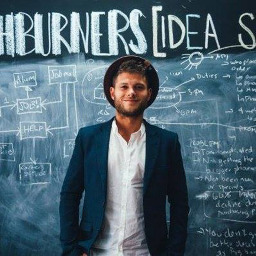 Bio: Adam Miller is a passionate young entrepreneur in the emerging Cannabis market in Australia. With nearly a decade of experience in the ‘startup’ space Adam founded BuddingTech in 2016 to foster digital and technological solutions for the emerging medical cannabis industry in Australia. Adam was motivated to research medical cannabis after the ongoing health battle of someone close to him. Cannabis had the potential to help but it was still illegal at the time. As Australia moved towards legalisation of medicinal cannabis at both the state and federal level a top-down approach was taken and a very highly regulated system established. Adam was in Colorado when recreational cannabis was legalised and witnessed the way that culture changed as it moved into a legitimate business. The innovation happening in Silicon Valley has brought legitimacy to both the medical cannabis as the therapeutic potential is embraced in the USA and around the world. BuddingTech aims to connect other start-ups and other stakeholders in Australia with the international network of researchers and businesses. Returning from a recent business trip to Israel, the country with some of the most advanced medical cannabis research currently under way Adam can bring some insight into how Australia is placed in the emerging international cannabis market around the world and in particular within the Asia-Pacific region. He also has a unique perspective on how well regulations in Australia are facilitating the entry of new companies and investors in the developing market here. How does the future look for cannabis, business and individuals in Australia? Bio: We are delighted that Students For A Sustainable Drugs Policy will be presenting a session on ending the war on drugs in Australia! In their presentation they shall be arguing that in punishing its citizens for wrong doing, the state has a critical responsibility to ensure that the rule of law is just. The most serious criticism of Australia’s drug policy js that it is unfair and unjust for the majority to punish people, absent harm to others, with a minority taste in drugs. This is an even more important consideration than whether or not Australia’s drug policy is effective or whether alternative policies might be more effective. If it is agreed that our drug policy is fundamentally unjust, then the next issue is identifying ways of ensuring that supply effectively meets demand. The approach suggested here is similar to the libertarian argument that citizens have a right to drugs but is likely to appeal to more people. One of the speakers at this session will be Dr Alex Wodak. Dr Wodak AM is the President of the Australian Drug Law Reform Foundation and is an Emeritus Consultant at St Vincent's Hospital, Sydney where he was Director of the Alcohol and Drug Service for 30 years. Together with colleagues he started Australia’s first needle syringe program and Australia’s first Medically Supervised Injecting Centre when both were pre-legal. His retirement project is drug law reform in Australia and beyond. Founder & President, LibertyWorks Inc.
Bio: Andrew is the founder and president of LibertyWorks.org.au, a not-for-profit do-tank advocating classical liberal values and policies, and LibertyFest.org.au, an annual conference series celebrating our liberty where it exists and plotting to expand it where it doesn’t. He has resolved to help a better, more moral society evolve by peeling back the State’s involvement in our economic and personal lives. Andrew studied business at the Queensland University of Technology, is a past president of Entrepreneur’s Organisation Brisbane and a director or investor in commercial property and IT startup companies. He’s also an avid microlender/donor to third-world businesses through kiva.org, a not for profit organisation that empowers small third-world entrepreneurs with interest-free microloans. 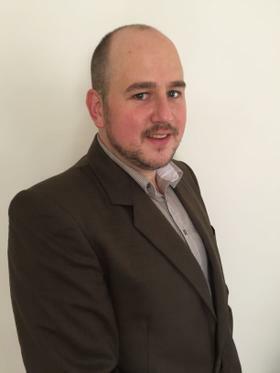 Bio: Austen Erickson is the Director of Outreach & Engagement at the Australian Taxpayers' Alliance, and the Chairman Emeritus of Australia and New Zealand Students for Liberty. Previously he served as the Executive Officer of the Liberal Democratic Party, as a Director at the Australian Libertarian Society, and was the founding Organiser of Liberty on the Rocks Australia. He is currently a PhD student in Applied Mathematics at the University of New South Wales, and a sessional tutor in Economics at Notre Dame University. Bio: Mover & Shaker. I like birds, Burning Man and building systems. I talk a lot. Let me take your picture. Bio: Bianca Talbot is currently in her final year at Murdoch University studying a Bachelor of Laws and an Arts Minor in Politics and International Relations. During her studies, she has undertaken a Human Rights Law Program in Geneva, Switzerland and has also interned at the Institute of Public Affairs during the summer of 2016 as a Mannkal Scholar. Her passions include Constitutional law, Legal Theory, and International law. Bianca has just returned from a trip to the USA where she witnessed the results of a nation that has forgotten how to govern itself, despite having a strong constitutional tradition. She hopes she can one day play a role in the restoration of the very constitutional arrangement of government that the drafters intended to protect so we don’t end up in the same situation. 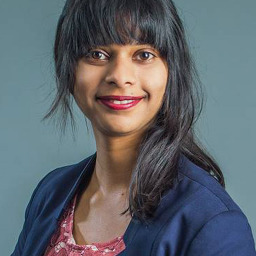 She has a paper published in the Western Australian Jurist titled Radical Feminism’s Opposition to Liberty as she decided to take on radical ‘feminazis’ during her role as Women’s Representative on the Murdoch Guild Council in 2014. Bianca also operates her own fitness business. Bio: Brendan's current research focuses on the economics of knowledge and ideas. His work is particularly concerned with the interaction between economics and psychology, and spans behavioural and psychological economics, evolutionary economics, complexity and complex systems economics, microeconomic and macroeconomic theory, network theory as well as the philosophies of mind, time, and science. His work has been published in the Economic Record, the Cambridge Journal of Economics and the Journal of Evolutionary Economics. An old boy of St Joseph’s College Gregory Terrace of the Class of 2008, he holds a Doctor of Philosophy and a Bachelor of Economics with First Class Honours and a University Medal from the University of Queensland and swears by Virgil, Xenophon, James Joyce and Patrick White. Brendan will be joining RMIT Professor Jason Potts, IPA researcher Darcy Allen, and US-based "bitcoin girl" Naomi Brockwell on the innovation panel on Sunday. Should be good. 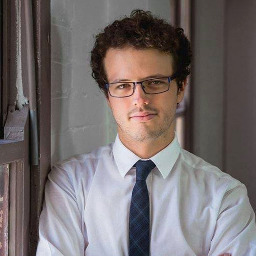 Bio: Darcy Allen is Research Fellow at the Institute of Public Affairs, Editor of the IPA Review, and in the final stages of a PhD in economics at RMIT University. Darcy’s writing has featured in peer-reviewed academic journals, conference papers, and book chapters. Darcy has appeared as an expert witness before various parliamentary inquires, including the Senate Standing Committee on Economics and the Senate Committee on Red Tape. His opinion pieces and comments have appeared in the national media including on the pages of The Australian, Australian Financial Review, Herald Sun, Sydney Morning Herald and The West Australian. His PhD thesis argues that in the early stages of new technologies, such as blockchain, entrepreneurs pool their information together under private governance structures called innovation commons. Bio: Federal President of the Liberal Democrats. An avid fan of Jeremy Bentham, Richard Dawkins, John Stuart Mill, Sam Harris, Peter Singer and Christopher Hitchens he falls firmly into the consequentialist school of libertarianism. Gabe argues that the notion of rights, as we currently apply them to human animals, can be extended to non-human animals within a libertarian ethical framework, and shall be exploring this issue with us at the conference. Bio: Former Secretary of the Liberal Democrats QLD Branch; current wife (if he behaves himself) of Gabe Buckley, the National President of the Lib Dems; passionate about civil liberties and the longevity of classical liberalism in Australia and abroad. Bio: Gabriel is a neuroscientist, yogi, educator, entrepreneur, and musician. He is the founder of Neural Axis®, a platform that leverages mind-body methodology, cognitive neuroscience, and virtual reality technology for self-cultivation and neuro-rehabilitation. Gabriel’s work aims to promote the sense of self and agency for enhanced function and sovereignty in complex world. He is an international instructor and educator on the intersection of neuroscience and self-cultivation, and is a leading developer of the fusion of these fields. He is also active in the areas of philosophy of mind, science, complex systems, and synthetic life. Gabriel is a liberty enthusiast, and is the official Representative in Australia of Liberland, a new liberty-centric country. Gabriel promotes the potency of self-sovereignty and agency as a foundation for self-development and enfranchised social engagement. He believes that with liberty as a basis, self-cultivation can serve to empower individuals to experience the ‘farther reaches’ of human potential and thus more effectively contribute to create a more prosperous life and world. Gabriel is the author of a forthcoming book on neuroscience and self-cultivation and composer of a forthcoming music album. Bio: Gary is Adjunct Professor at QUT Business School and a columnist for The Australian newspaper. He served in the House of Representatives and in the Keating Governments. He was an Associate Commissioner of the Commonwealth Productivity Commission. Gary received the Centenary Medal and the Fulbright Professional Award in Australian-United States Alliance Studies, served at Georgetown University Washington DC. He was Senior Fellow Institute of Public Affairs, senior consultant ACIL Tasman, and Associate Professor at the Australian Catholic University. Bio: For the last 5 years, James has been the President of the largest branch of the Sporting Shooters Association of Australia, Sydney Branch, with 32,000 members across the Greater Sydney area. He is a staunch advocate for the fair and reasonable treatment of law abiding shooters and he actively campaigns for the rights of his members. James believes that Australia needs a loud and proud lobby group like the American NRA to advocate for, and represent the 1,000,000 plus law abiding shooters and firearms owners across Australia who are constantly vilified and treated in many instances like common criminals. He feels it is well over due to have a sensible and fact based discussion around the private ownership of firearms and other related issues including self-defence as a genuine reason for firearms ownership and the removal of costly firearms registries as evidence shows they do nothing increase public safety and are a waste public money. Away from shooting, James is the owner of a Recruitment and Human Capital Consulting business that assists many well-known businesses secure high profile talent across Australia. Bio: Adjunct Fellow Jason Potts is an Associate Professor in the School of Economics, Marketing and Finance at RMIT. He has written three books and over 70 articles on the theory of economic evolution. His work focuses on how entrepreneurship and innovation drive economic growth and development. Bio: Jenesa is a Policy Analyst at The New Zealand Initiative, focusing mainly on social issues and lifestyle regulations. She is the author of ‘The Health of the State’, a report that looks at the evidence and ideology behind public health and lifestyle regulations. She has also co-authored publications on poverty, inequality, social impact bonds, economic growth and housing. She has a Bachelor of Arts with first class Honours from the University of Otago, majoring in Politics, Philosophy and Economics. 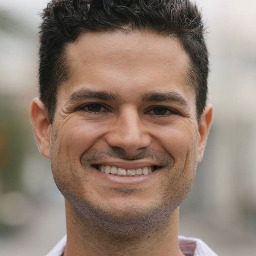 Bio: Lee is a host and producer of Taking Liberties Radio, an Australian libertarian podcast, and creator of the Aussie Liberty YouTube channel. He is currently in his 2nd year studying Economics and Accounting at the University of Notre Dame Fremantle, and is part of the Mannkal scholarship program. Lee’s passions include helping other Christians understand the principles of liberty, housing policy, labour regulation, and opening up government to market competition. When not ranting at length on social media about the failings of government, Lee is an unabashed nerd for miniature wargames, video games, movies, and music. Bio: Alan Moran is a former Director of the Deregulation Unit at the IPA. Bio: Andie was born and raised in Wellington, New Zealand, drawn to libertarianism reading about the 1980s liberal reforms of former finance minister Roger Douglas, and also encountering the perils of bureaucracy during their teen years. Having ranted endlessly about the shortcomings of government, they channelled their libertarian angst into starting New Zealand’s first Students for Liberty club. Andie currently lives in Melbourne, and is about to commence their second year of a Bachelor of Arts in Politics and International Studies and Social Theory at the University of Melbourne. Andie identifies as a left-libertarian, and is thoroughly interested in anarchism, feminism, queer theory, agorism, and freed markets, with the aim of a freer society based on reciprocity, free exchange and self-determination. They’re also the vice-chairperson of Australia and New Zealand Students for Liberty. Bio: Andrew Bragg commenced as Director of Policy & Research of the Menzies Research Centre in November 2016. He is also head of the newly established Enterprise Policy Unit. Andrew is responsible for policy development, research and advocacy at the centre with a particular focus on enterprise / business policy. Andrew is a regular commentator on tax reform, federalism, trade and financial services policy in the nation’s daily newspapers, radio and television. Before joining the MRC in 2016, Andrew was Director of Policy and Global Markets at the Financial Services Council (FSC) from 2013 to 2016. At the FSC, Andrew led a highly regarded policy unit which delivered groundbreaking self-regulation including the Trowbridge Review of Life Insurance / Life Insurance Code of Practice and a requirement for superannuation boards to contain independent directors. Previously, Andrew worked for Ernst & Young in its internal audit division. Bio: One of our most keenly anticipated sessions this year is on homeschooling, un-schooling, and alternative education. One of the most exciting developments in this field as an alternative to traditional tertiary education has been the creation of Praxis and joining us to talk about it will be Australia's only Praxis graduate, Brad Matthews Brad is a primary school teacher turned alt-ed advocate from the Central Coast of NSW. He graduated the University of Newcastle with Honours in 2014 and taught for a year. Wanting something more and unable to reconcile his personal values with the school environment, he applied and was accepted into Praxis. After graduating from Praxis in November 2016 he launched UnschoolHQ, a growing project that aims to support and guide parents on their unschooling journey. This is in addition to continuing work for the business that he was placed with for Praxis, Practice Paradox. 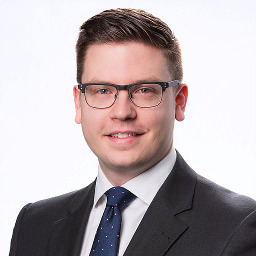 Bio: Chris Berg is a Postdoctoral Fellow at RMIT University and a Senior Fellow with the Institute of Public Affairs. Dr Berg is the author of five books including In Defence of Freedom of Speech: from Ancient Greece to Andrew Bolt. Dr Berg is one of Australia’s most prominent voices for free markets and individual liberty, and a leading authority on over-regulation, economic freedom and civil liberties. The Cato Institute praised the “wit and grace” of his book Liberty, Equality & Democracy, and the Sydney Morning Herald described his The Libertarian Alternative as “spirited and sometimes wry”. His other books include Magna Carta: the tax revolt that gave us liberty and The Growth of Australia’s Regulatory State. He is also the editor of 100 Great Books of Liberty and The National Curriculum: A Critique. 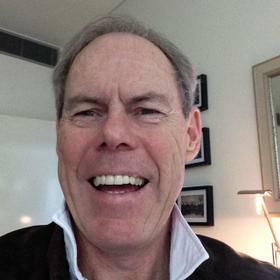 Dr Berg’s articles have appeared in the Wall Street Journal, The Australian, the Australian Financial Review, and the Sydney Morning Herald, as well as magazines such as Quadrant, Spectator Australia and Overland. He has been a regular columnist with the Sunday Age and ABC’s The Drum. His scholarly contributions have appeared in the Australian Journal of Political Science, Econ Journal Watch, Agenda, and Trends in Anaesthesia and Critical Care. He is a frequent media commentator on television and radio and appears regularly throughout the electronic press. He holds a PhD in economics from RMIT University and bachelor’s degree in history and political science from the University of Melbourne. Bio: Senator Cory Bernardi is a Senator for South Australia and leader of the Australian Conservatives. He is a former member of the Liberal Party of Australia, having represented the party in the Senate from 2006-2017 As a member of the Liberal Party of Australia for over 30 years, Cory fought to support Sir Robert Menzies' vision of stronger families, fostering free enterprise, limited government and supporting civil society of the 'forgotten people'. Since being sworn in as a Senator for South Australia in May 2006, Cory has been an unapologetic advocate for these principles. His defence of free speech, traditional marriage and Australian culture has gained him a reputation as a conviction politician who puts principle above political expediency. 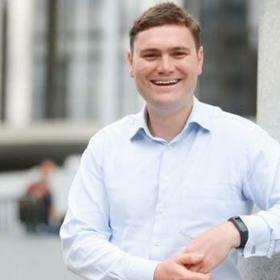 Cory then founded Australian Conservatives in 2017, providing a community for Australians who believe conservative principles are the better way for the nation. In 2009, Cory founded the Conservative Leadership Foundation – a not-for-profit educational, research and training organisation dedicated to developing Australia’s future leaders around the guiding principles of limited government, personal responsibility, free enterprise and traditional values. 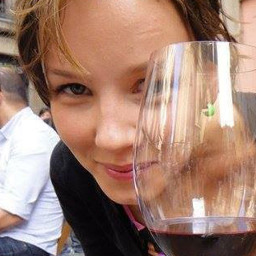 Bio: Daisy is a freelance journalist, political commentator, and (occasional) provocateur based in Sydney, Australia. She graduated from the University of Sydney in 2015 with a Master of Creative Writing; preceded by a Bachelor of Music at the Australian Institute of Music, and a Bachelor of Arts at Macquarie University. 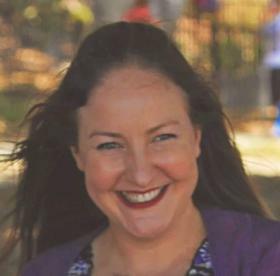 Soon after completing her Masters, Daisy became a chief contributor at SheSaid Online Magazine, and in 2016 began freelancing for The Spectator Australia. 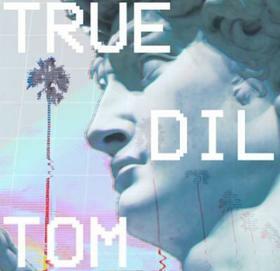 Her focus is political ideology, culture, and satire. She was also the Editorial Assistant at Quadrant Magazine, and remains a continuing contributor for the Quadrant print edition and was recently featured as a panelist on ABC's Q&A! Along with The Spectator and Quadrant, Daisy writes for deadcentrepolitics.com, with a focus on the conservative stance. She is also taking part in a think tank at the Menzies Research Centre; presenting the downside of national debt and deficit to millennials. In her own words, “an initiative to un-demonise capitalism to a generation who have been indoctrinated to hate it”. Daisy enjoys sports journalism, and has freelanced for The Roar Sports, with a focus on tennis. She has also appeared on QandA, ABC News24, Paul Murray Live, and The Project. Bio: Mr Darren Brady Nelson is currently the economic policy adviser to Australian Senator Malcolm Roberts of Pauline Hanson’s One Nation party, Darren will also be joining us at the Friedman Conference as part of the "Is Trump Good For Liberty?" Debate! Immediately prior to this, he was an economic policy adviser for the American Republican party presidential campaign of Donald Trump. 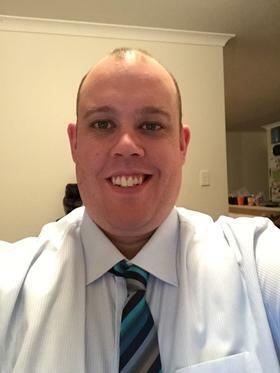 Darren is an Austrian School economist, conservative-libertarian and Christian who lives in Brisbane Queensland but is originally from Milwaukee Wisconsin. Attendees please download Whova event app, to access the information of all 77 speakers.